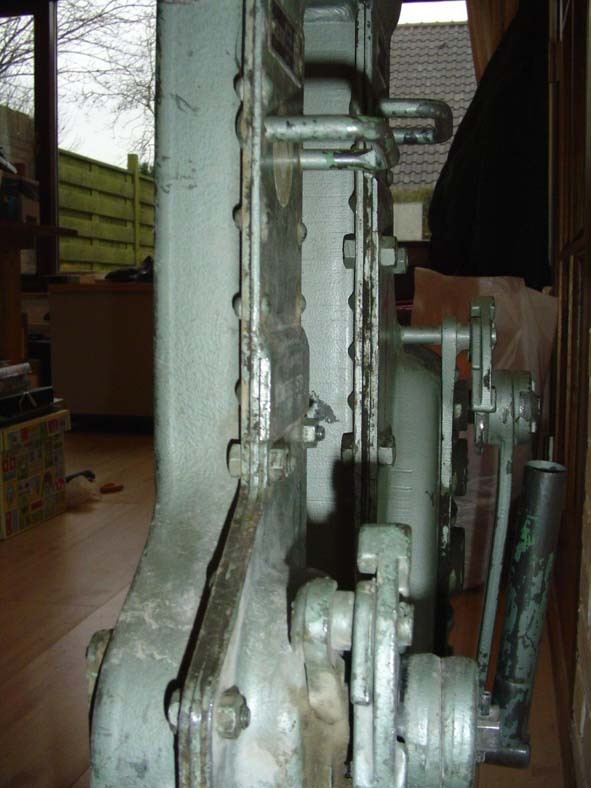 As said on the main jack page: There is a whole range this jack type still made and in use. Please do an internet search for "steel jack" or "stahlwinde" to find more info on the ones still being made. Below, you can see some photos of a recent 5T and a 20T version. A closer look at those photos reveals some details that you can hardly see on the few wartime photos. 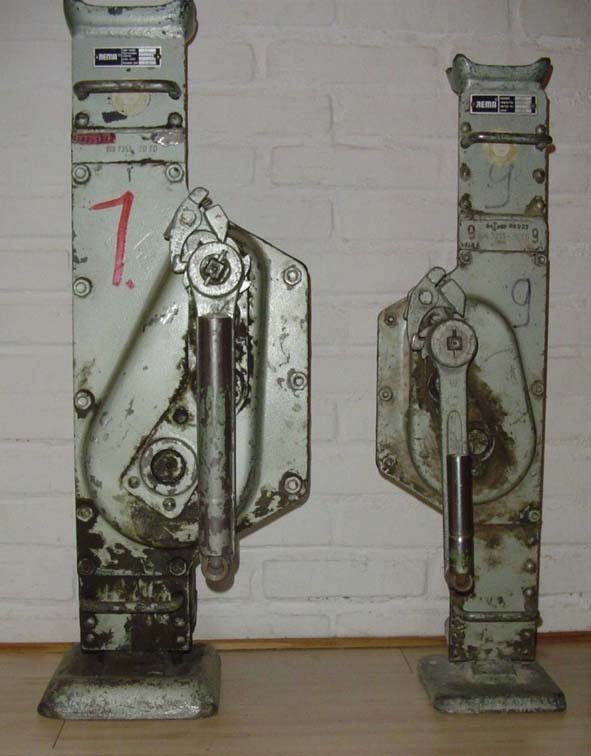 Main characteristic of these jacks is the body that consists of three parts; two of them permanently held together by rivets, while the third part is fixed with bolts, allowing removal for maintenance. The removable part is positioned by a little plate at the top, which is welded to the main body. Note that on one side you can only see bolts on the gear case, while on the other side, you see those bolts together with the rivets. 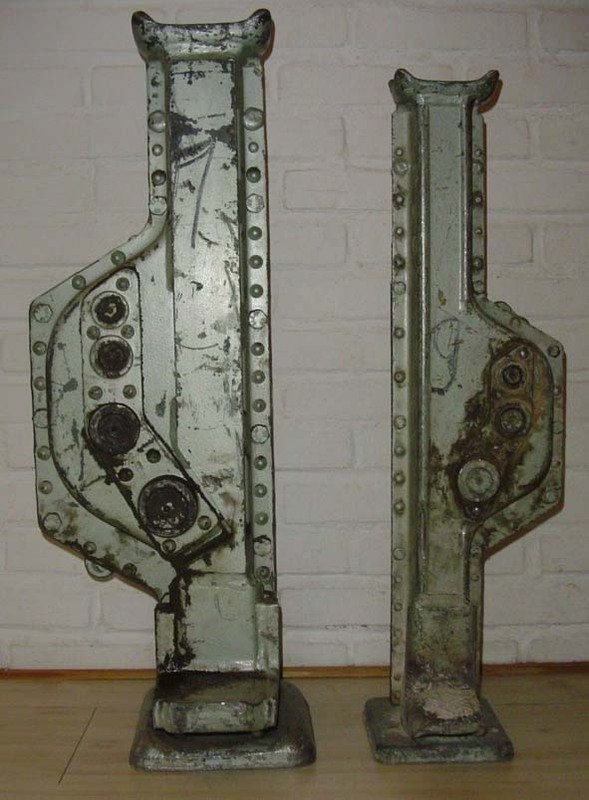 So far, we only saw some undimensioned drawings of this jack type fixed to a Tiger1 and we are still searching for proof that this type was really used on this tank. We did see photos of its use on Panther tanks. Those photos suggest a 10T version being used. We still don't have a clue as to what range of this jack type was in use during the war.